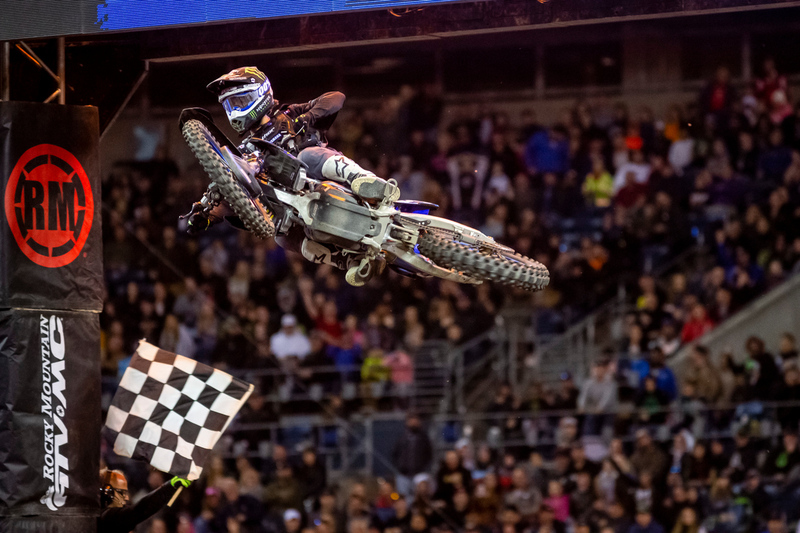 We sometimes forget how big of a deal it is to win a Monster Energy Supercross main event at any level, but wins and emotional celebrations like the one we saw from Dylan Ferrandis on Saturday night in Seattle quickly remind us that these kids are living their dreams and fulfilling lifelong goals. Over the last three seasons of Monster Energy Supercross, the MX2 World Championship transplant has been fighting to fulfill his lifelong dream of winning an AMA Supercross main event. The French national left his friends and family behind to chase that dream and with his Seattle SX 250SX main event win, the Monster Energy / Star Racing / Yamaha rider can now call himself an AMA Supercross main event winner. The best moment in Dylan’s young SX career so far, but we have a feeling there is a lot more of this to come. Dylan’s speed has been amazing in 2019—fastest qualifier in 5 of the 7 races—but his starts and small mistakes had kept him off the top step of the podium. On Saturday night in Seattle, though, he was able to get to the front early in the main event and hold off a charging Adam Cianciarulo to light the candles for the first time in his career. After the post-race celebrations were calmed down a little, I caught up with the still very excited first-time winner to talk about his win, what it means to him, working with David Vuillemin and more. Click play to hear from Dylan Ferrandis.